Born on November 26,1970 in Houston Texas. Parents were James Michael Green Sr. & Lynda Rachel Postel Green (deceased) raised by his grandparents Alfred & Rachel Postel (both deceased) in the southeast neighborhood of Magnolia. He is the eldest of 3 brothers. Attended DeZavala Elem. Edison Jr High and Austin High School. He married Sandra Diaz in 2004. He has raised 3 stepdaughters Celestina Garcia, Jennifer Galaviz, Stephanie Galaviz and 1 biological daughter Mariah Lynda Green, also raised 1 grandson Eriq Rojas and has numerous grandchildren. James has been employed with Sunrise Services for 6 years. He and his family attend Sagemont Church. In 2007 He began with the idea of GOT CHILD? after watching the news and noticing a chain of events where babies were being left in hot cars, he started drawing hangtags, going over ideas with his wife and children and talking to local printers. In 2010 James registered the trademark GOT CHILD?. In 2013 it was changed to GOT CHILD? INC. James and his wife first started by printing flyers and would drive through the neighborhoods passing them out, because of the fact that all expenses were coming out of their own pocket he had to borrow 1,600.00 for the first 2,500 hangtags that he started with. Since then in 2015 GOT CHILD? INC. has become a non-profit organization. He has spoken at NASA and has been invited back numerous time for their health-fairs. James has also spoken at National Night Out events and attends health-fairs in the community. He still pays for all expenses out of his own pocket and fundraisers. He receives very minimal donations. 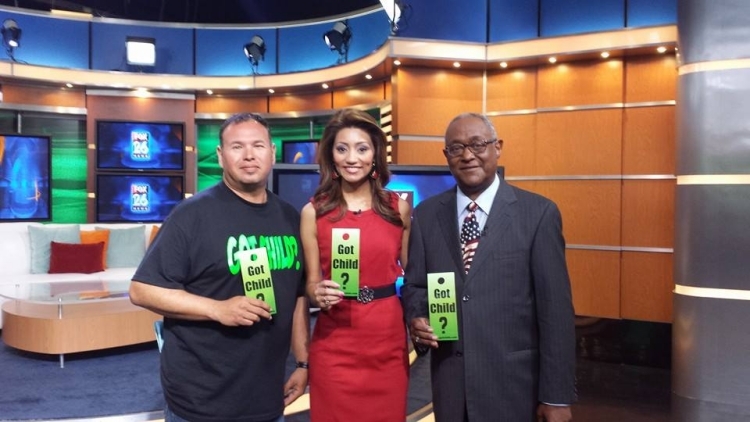 You will find James and his family passing out hangtags and flyers at events, health-fairs, parking lots, stores or on social media Facebook – Twitter- Instagram posting reminders about the danger of leaving babies in a hot car. His overall goal is to have his signs posted in all parking lots and businesses where you park your car to remind adults to check that back seat.